Albion Estate worker died on Thursday after he was attacked by a swarm of bees while cutting a track at GuySuCo’s Ankerville, Corentyne cultivation backdam. 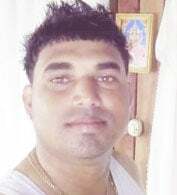 A father of two, Rameshwar Poonoo, also known as ‘Presley’ and ‘Buddy Bai,’ 31, of Lot 7 Grassfield, Port Mourant, fell into a nearby trench, where he is reported to have succumbed, after being attacked by the swarm. 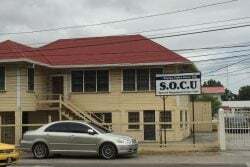 According to information gathered, Poonoo, who was attached to the Number 6 Water Management Gang at Port Mourant, reported for duty at 7 am on Thursday. However, he and two of his colleagues, Mohan Persaud and Radesh Ishmail, were then instructed to build two foot bridges at Resource Sideline and Ankerville East, cut a track on the Resource Middle Walk Dam and blow a field at Ankerville East…..